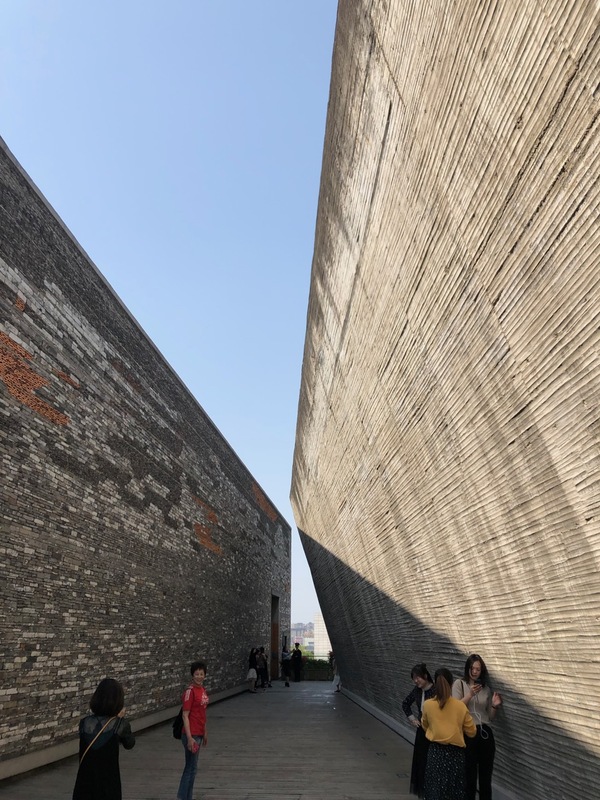 Since 2011, I have been a member of the group known as Shanghai Flaneur, which organizes walking tours of the the city for a diverse customer base, from individual tourists and residents to corporate organizations. Each walking tour has a theme and they are usually led by one Flaneur, who is an expert in a certain area of the city’s history or development. Yesterday, the Shanghai Flaneur group held a special event to commemorate the 10th anniversary of the organization. Attending the event were around 20 people, most of whom have led walking tours for the organization. We met at 3 pm at the deco style apartments on Changde Road 常德路, which are famous for once being the home of writer Eileen Chang (Zhang Ailing 张爱玲). The idea behind the event was that different Flaneurs would have the opportunity to give short talks on subjects of interest within the scope of an identified area of town, which stretched from Changde Road all the way to my own neighborhood of Weihai Road/Shimen Road 威海路/石门一路. This is a very rich historic area of the city coinciding with the western part of the former International Settlement. Once the Flaneur group had gathered at the grounds of the apartment building, the tour began with Annette, who gave us a brief history of the life of the writer Eileen Chang. After that, we walked over to Tongren Road 同仁路 where Maja gave us a history of the prominent Chinese newspaperman Shi Liangcai 史量才, owner of the Shenbao 申报, China’s foremost newspaper in the early 20th century, whose lavish former home is located on that street. I also pointed out that this was an influential bar street that once was home to Malone’s—one of the earliest expat-oriented restaurants and bars in the city where interestingly enough I had my first date with my future wife back in 1997. After that, it was my turn to lead the walking tour, and as we ambled down Nanyang Road behind the Portman Ritz Carlton, I pointed out the former location of the sports bar Big Bamboo and told the rags-to-riches story of its founder Bryce Jenner, which is in the bar chapter of our book Shanghai Nightscapes. I also drew upon co-author James Farrer’s recent talk at Tongji University about bar streets as a form of cultural heritage and talked about the vicissitudes of bars and bar streets in this neighborhood and others. Then it was a five or ten minute stroll to the corner of Nanyang Road and Jiangning Road, formerly known as Gordon Road, where I gave a talk on the history of the city’s jazz age of the 1920s-1930s, featuring Whitey Smith and the Majestic Hotel Ballroom (1924-1931), which was torn down and eventually became the grounds of the Metropole Gardens Ballroom of the late 1930s. I showed photos of the ballrooms and played some of Whitey’s tunes—one of them, “Nightime in Old Shanghai” is accompanied by a video of Whitey Smith’s orchestra playing to a group of Chinese dancers at the Majestic Hotel in 1929, which you can find on youtube. I give my talk on Whitey Smith and the Majestic Ballroom, where China first learned to dance in the 1920s, to Yolanda (on my left) and other Flaneurs . Afterwards, we continued our walk, and Duncan Hewitt took over for a spell as we visited some old lane houses on Beijing Road. We then had a talk by Han Zheng about Chinese innovation as we stood in front of the massive Starbucks Roastery on Nanjing Road and Shimen Road. Following that talk, we walked across the street to an enclosure near the subway entrance where a PhD candidate from Tongji University named Mickey gave us a talk about the two rather unique apartment buildings on that corner as they came alight in the gathering darkness. The old apartment building on the corner of Nanjing Road and Shimen Road. Then we walked down Wujiang Road (formerly known as Love Lane in the old days), where we turned south on Maoming North Road and headed to the Sun Court Apartments 太阳公寓. There, as we all stood there in the gloaming amidst the Italian-style courtyard and listened enrapt, a French Flaneur named Remi gave us a talk about history and personal memory, and told us some stories he’d experienced and learned from local residents about this old apartment building which dates back to 1928. It was too dark to take a photo that evening so next morning I went with my daughter Hannah back to the Sun Court courtyard, which is just a few blocks from where we live in Shanghai. By this point we were all getting quite hungry and tired from the long march of the Flaneurs. The final talk of the evening was Iris who gave us a brief introduction to the micro-preservation efforts of Lilong or lane house neighborhoods in Shanghai as we strolled through one of them on the way back to Nanjing Road. We finished the tour at the Portman where a lovely dinner was waiting for us at the restaurant known as Element Fresh. Following the dinner, founder Katja and Magali of the Shanghai Flaneur group gave a talk thanking us for our contributions to the organization over the years, and then they showed a wonderful slide show designed by Yan Chu, one of the Flaneur organizers. All in all it was an unforgettable event and certainly it gave us all plenty of inspirations as we learned from each other. Let us hope there will be more of these events in future. Incidentally, the next morning I did some research online about the Sun Court apartments, and discovered a fortuitous connection to my section on the Majestic and Metropole ballrooms. It turns out a real estate magnate named Sun Chunsheng 孙春生 was responsible for both of these properties. 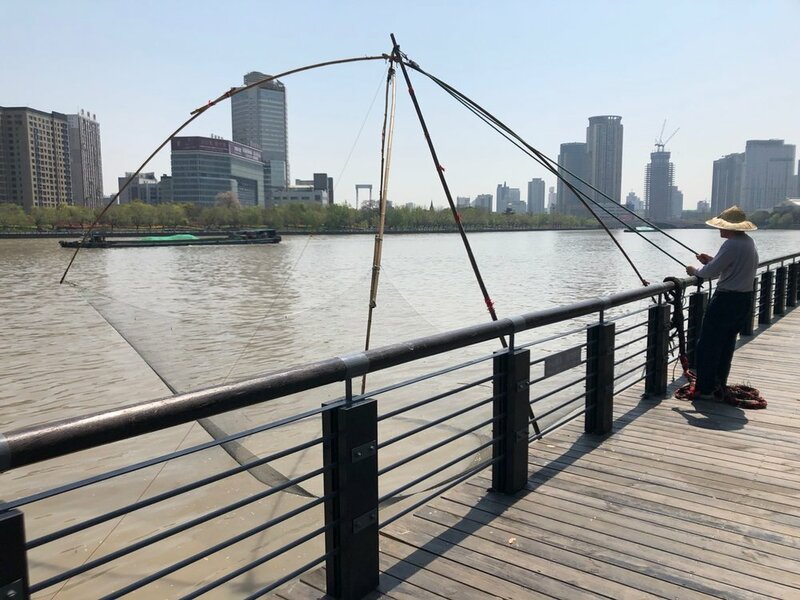 I am eager to do more research on this person and find out more about the connections among the various buildings that make up the built and cultural heritage of this part of Shanghai. Jazz at Lincoln Center Shanghai has now been open for a couple years now, and sadly I have only attended two events so far. 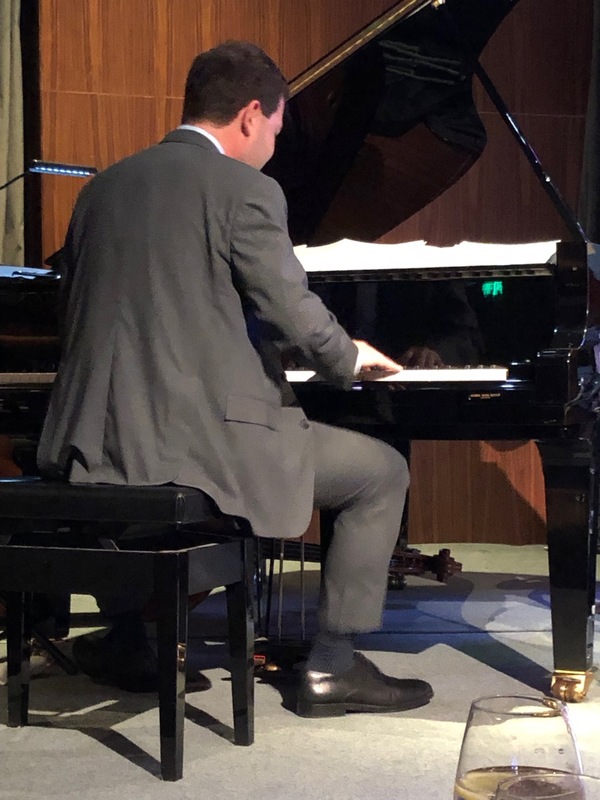 The first, which I also blogged, was a special performance featuring jazz saxophonist extraordinaire Joshua Redman, backed by Aaron Goldberg and his band. 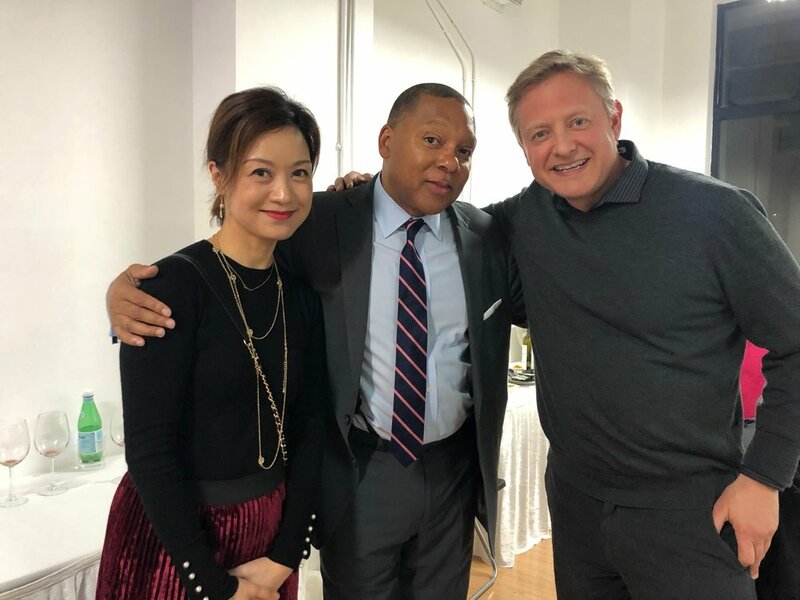 Last Thursday, my wife Mengxi and I went to see the performance of Wynton Marsalis and his big band, who were touring in the Asia Pacific. They’d just toured Australia and were doing a tour of China including Beijing, Shanghai, and Guangzhou, and yes, even Hangzhou! For the princely sum of around 200 USD we had booked tickets for the event well beforehand. I also helped arrange for the AmCham group to connect with the club and they came earlier that evening. We showed up for the 10 pm concert and had seats right near the stage. It’s a small club so no matter where you sat, you were in for a huge treat. The band started the set with a funky version of Thelonius Monk’s song “Jackie-ing” arranged by one of the band’s saxophonists, Ted Nash. Mr. Marsalis said a few words to introduce the song. “Don’t let anything stand in the way of your enjoyment and your expression of it!” He told us, and the concert was on. Following that song, they performed bassist Carlos Enriquez’s arrangement of a song by early jazz legend Jelly Roll Morton, who according to Mr. Marsalis was the “first true intellectual in jazz, he could articulate it. He introduced a Spanish tinge—Afro Latin rhythms” to the jazz idiom. The song was “The Crave,” and it started out with a Cuban rhythm led by pianist Dan Nimmer. The song blossomed into a bluesy tune blended with Latin rhythms and lasted around ten minutes. Then they played a fairly brief arrangement by Wynton Marsalis of the Dave Brubeck song “Bluette”, which he called a “mix between European classical music and jazz.” After that was another Brubeck composition. “Dave was in Turkey and he heard some musicians playing a rhythm” Mr. Marsalis explained. “He put the rhythm together with some blues, using the Rondo form A-B-A-C-A-D-A-E.” This was trombonist Chris Crenshaw’s arrangement of “Blue Rondo a la Turk”, which started out beautifully with Dan Nimmer playing the opening piano part, before blossoming again into a blues tune. Afterwards, they went back to Thelonius Monk and played an arrangement by saxophonist Sherman Irby of “We See”, with “jazz ambassador” Mr. Walter Blanding (a regular at the club) performing with the band. This was followed by Duke Ellington’s tune “Big Fat Alice’s Blues” with Sherman Irby on sax. As the band marched out after the final song, Mr. Marsalis stopped and played a soulful solo while hovering right above our table. After the concert, we spoke briefly to a few of the band members, and we had a brief chat with Mr. Marsalis. It was a truly blessed night. 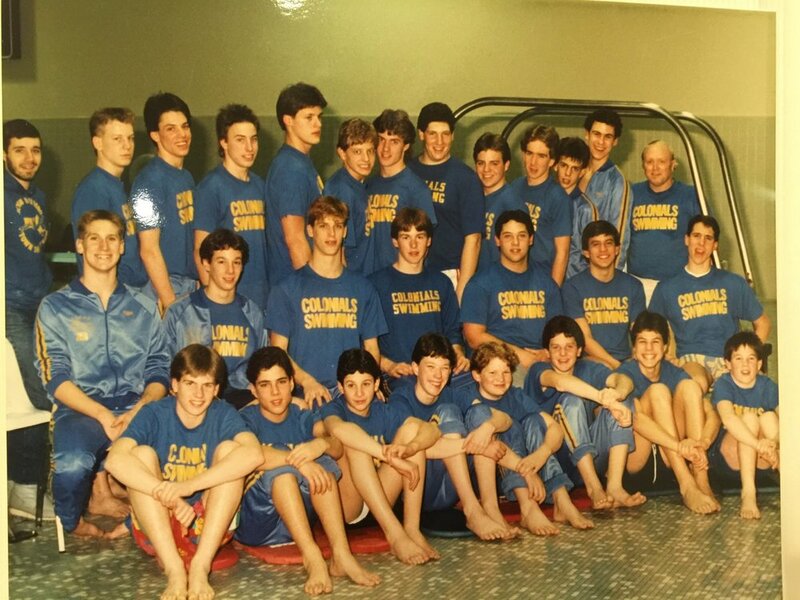 The Acton Boxborough Regional High School Boys’ Swim Team in 1987. Coach Johnson is far right in last row. In a previous entry on this website, I posted some maps of Shanghai’s leisure and entertainment quarters that I made while researching my doctoral dissertation on Shanghai’s Jazz Age dance industry in the 1920s-1940s. As usual, I posted the entry on Facebook, and I gave a shoutout to Christian Henriot, letting him know that he had been a big influence on my research in those days. He responded to let me know that he is now working on a HUGE mapping project, mapping out Shanghai’s entertainment world over a century of its development. 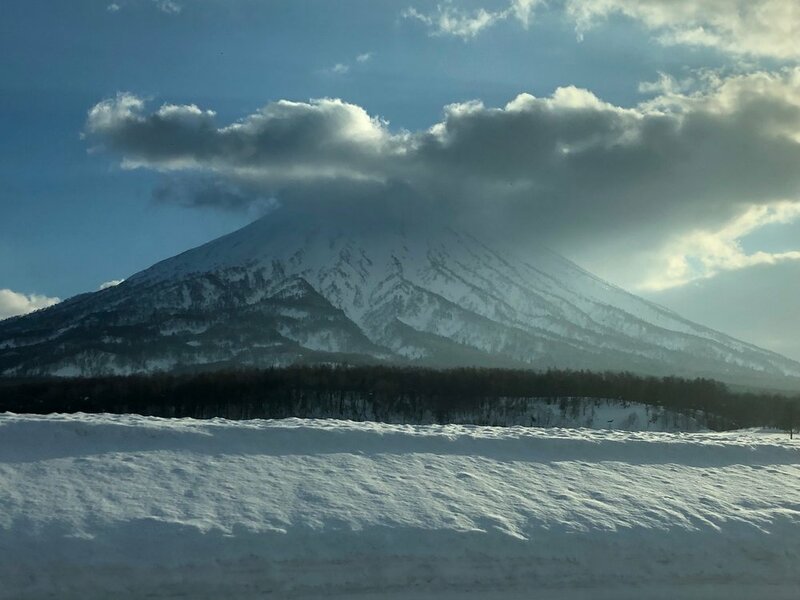 This project came out of another project, which our colleague at East China Normal University, Professor Jiang Jin, was working on with a group of her students. Dr. Henriot describes how this project came about and what its implications might be in a talk he gave at Stanford University in 2018. A video of the talk is posted on his website ankeqiang.org. In a nutshell, Dr. Jiang’s students transcribed advertisements of entertainment and performances published in four newspapers between the late 19th century and mid-20th century, including the Shenbao, China’s foremost newspaper in that era. Dr. Henriot has taken this info and with the aid of students he created a database and a set of maps to map out the entertainment world of Shanghai over a century of its development. It’s a fascinating project with great potential to enhance our understanding of the cultural and social history of our fair city. 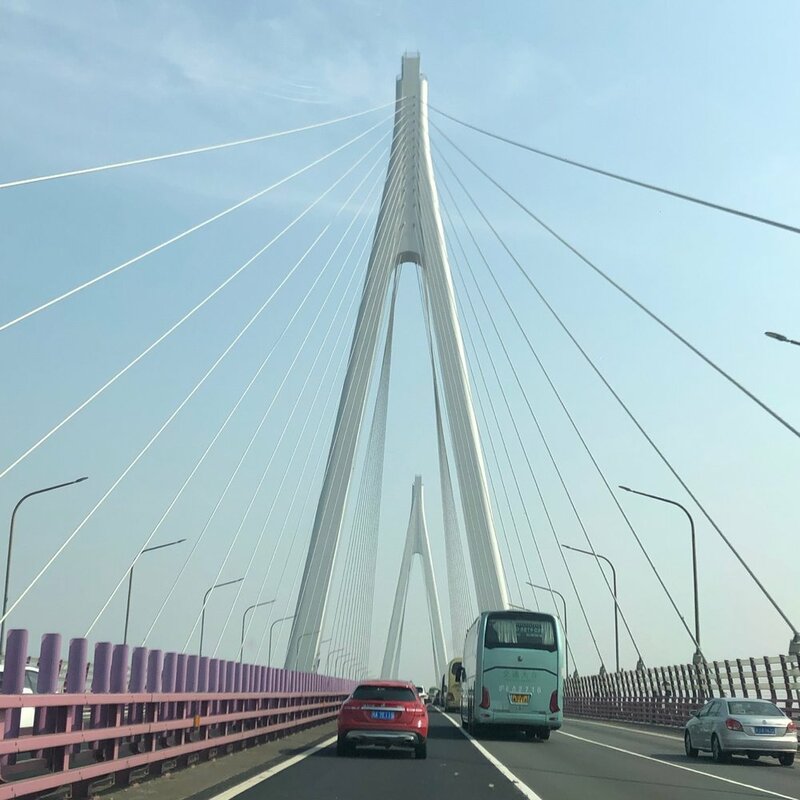 Dr. Henriot also developed another website called virtualshanghai.net, which is a repository of thousands of digital images and maps of Shanghai as well as other information on the city’s history. He has also published numerous academic papers and books on the city’s history, with subjects ranging from the history of prostitution to governance, wartime refugees, and deaths in Shanghai. I know of no other historian of Shanghai writing in the English (and French) language, who is so prolific and who uses such a wealth of data culled in newspapers and archives to research and interpret the history of Shanghai. I was so impressed by Dr. Henriot’s latest project that I shared the video of his talk yesterday in my class on Shanghai history. I hope we can get the chance to invite Dr. Henriot to come to Duke Kunshan University to deliver this talk in person next time he is in Shanghai! 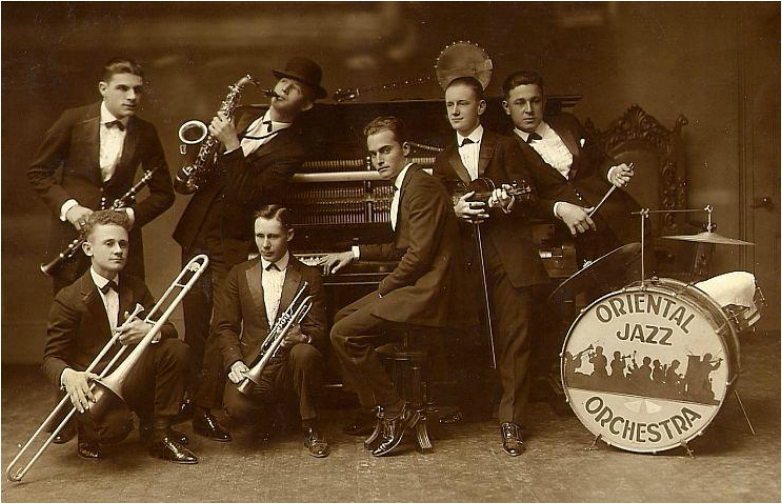 In the days of early jazz (1920s-1930s), Shanghai was a popular theme for jazz orchestras in the United States. Here are some examples. 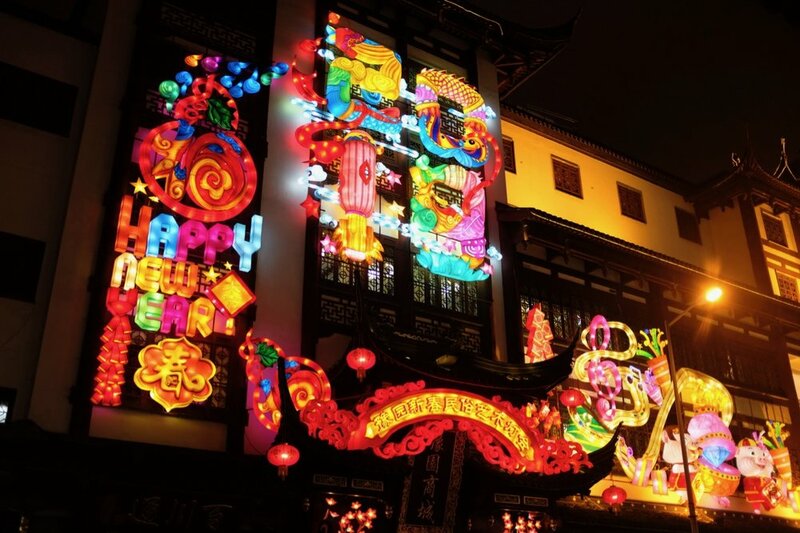 新年快乐，恭喜发财！Happy Chinese New Year from ShanghaiSojourns! 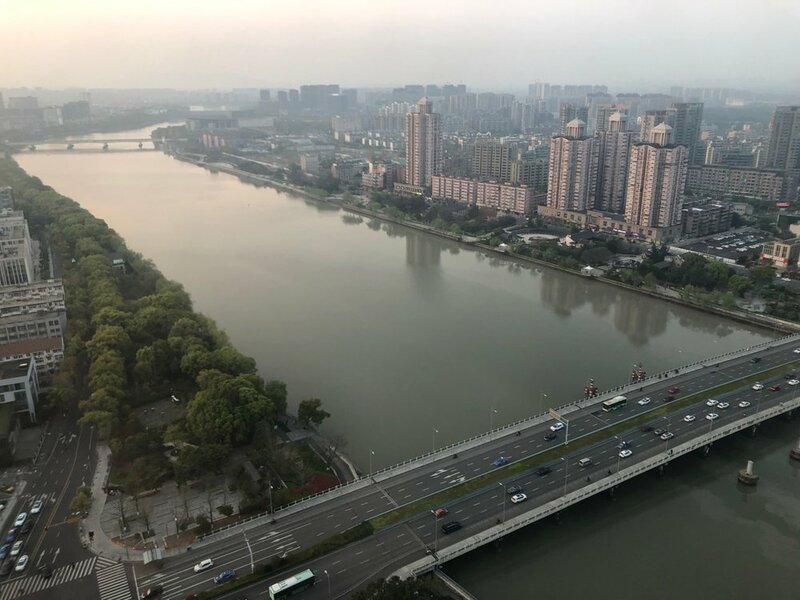 Some reflections on the challenge of changing from a quantity-obsessed nation to one more focused on quality—quality of products, quality of life, quality of education etc.—while also having to deal with increased inequality in Chinese society. Partly inspired by our new book Polarized Cities. I just completed Thoreau’s bio on the last day of 2018. One of the many revelations I gained from reading this wonderful biography Henry David Thoreau: A Life by Laura Dassow Walls (2017) is what an amazing scientist he was and how keen were his powers of observation and analysis of the natural world. I suppose this shouldn’t come as a surprise—after all, this is the man who famously spent a year or more living in a cabin in the woods on the edge of Walden Pond in Concord, Massachusetts. And yet I’d been used to thinking of him more as a political philosopher and “transcendendalist” than a scientist. I promised myself that by year’s end I'd finish the massive bio of Brahms by Jan Swafford (Johannes Brahms, a Biography, Vintage Books, 1997), which I've been reading all year with great enjoyment. It's been slow going, since it’s such a huge compendium of knowledge and information about the life and times of Johannes Brahms and his many friends, colleagues, and relations over a long lifetime of music-making. Also, every time Swafford goes into an analysis of the music Brahms was composing during different periods of his life, which is often, I find myself stopping to listen to the works he's describing. 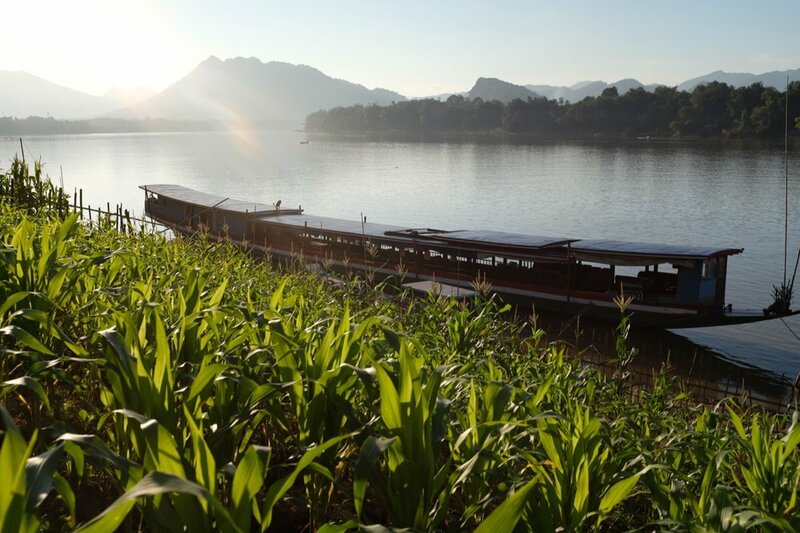 A boat moored on the edge of the Mekong River, near where the Rustic Pathways Base Camp is located. An account of a recent trip to Luang Prabang in Laos where I attended a conference on service learning, mixed cement in a remote mountain village, and toured the temples of this UNESCO World Heritage site. A recounting of a week long trip to Barcelona for the first time, told by a Shanghai flaneur in the second person. University of Barcelona: These boys know how to Par-tay! As the director of our new study abroad office at Duke Kunshan University, it was my honor and privilege to participate in the CIEE annual conference held this year from November 7-10 in Barcelona. It was also a great pleasure to visit this wonderful city for the first time (which I will write up in another entry to follow). The focus of the CIEE conference was on “educating global citizens in the digital age” and the conference included many insightful presentations and panels on a wide range of topics relating to the central theme. Occasionally a friend posts something online that is too good not to include in my blog roll. In this case, it's my former colleague in the UNSW School of History, Dr. Geoff Nathan, who posted a long piece on Facebook today listing his top 50 sci-fi films.